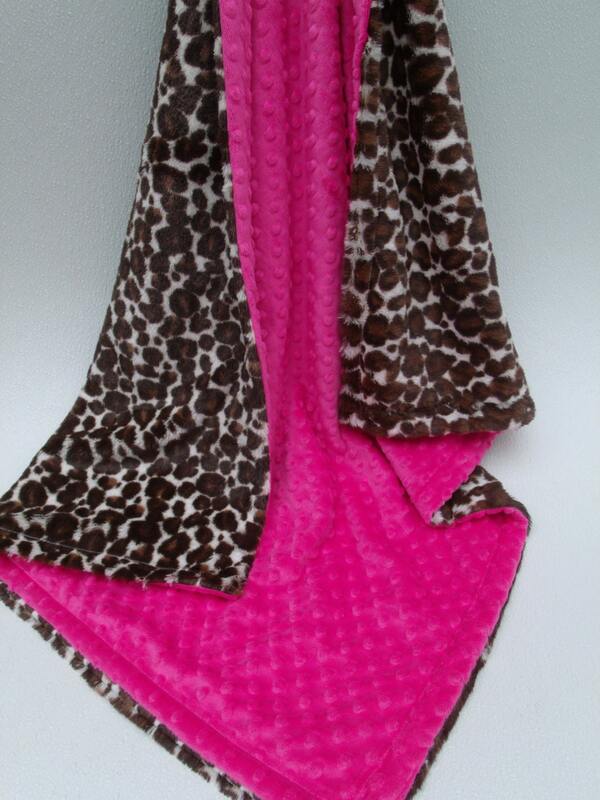 Hot pink minky dot on one side and a fluffy, piled leopard print fabric on the other. 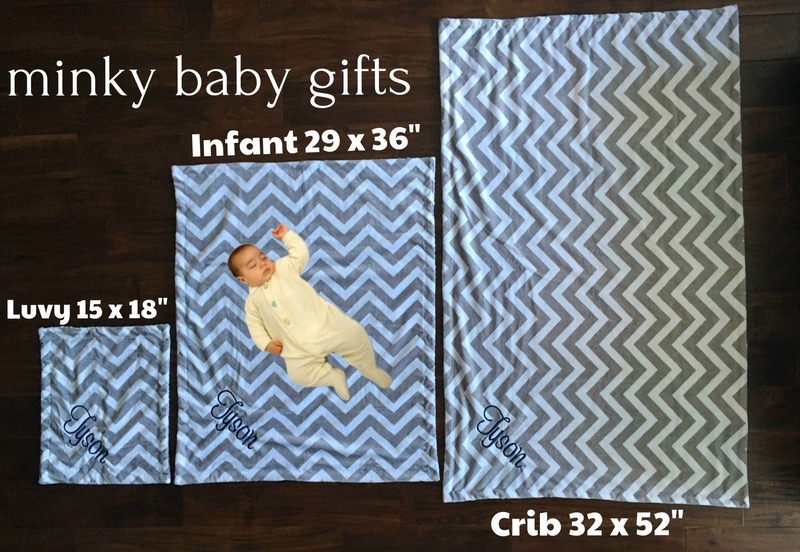 Feel free to change the backing color, to any fabric in our shop - make a custom blanket for no additional cost. 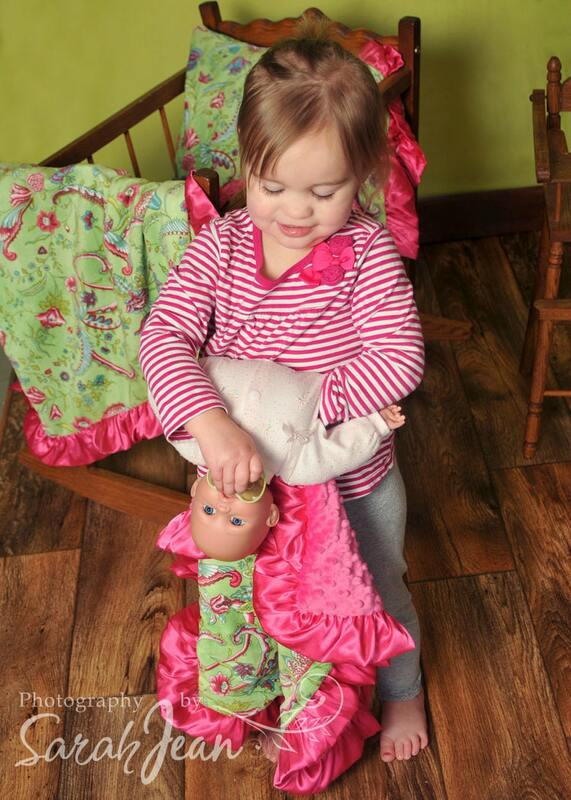 Polyester, machine was warm and tumble dry on low.